Windshield Recycling Green…Windshield Repair Greener! With the recent passing of Earth Day, many auto glass companies have been in the news for their green efforts. In particular, windshield recycling has become a popular way for companies to market themselves as green while saving more waste from entering the landfill. In order to properly educate your customers on windshield repair as a better alternative to recycling, create fliers or inserts for billing that explain the benefits of repair. Explain to your customers the value of not breaking the factory seal. Removing and recycling windshields requires that the factory seal be broken and can threaten the safety of the customer’s vehicle. Promote repair as a safe alternative and explain that repair is also a green choice. Repairing the windshield saved it from being thrown into a landfill as well. 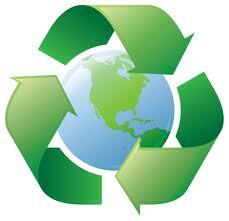 Recycling is not as green as windshield repair when you factor in some important details. Recycling glass uses energy to operate the necessary machinery. In addition, companies need to ship the used glass to a recycling facility, which requires fuel. Other companies that are promoting windshield repair programs have contacted local television stations or newspapers to tell their story. These media outlets are always looking for ways to educate consumers and promote green living. Consumers do care about their environmental impact so promoting a green aspect of your business is just one more way to appeal to consumers.